Do you want to find who is using your images without your permission? Check this list of the best online image reverse search engines. Search engines are the most visited pages on the Internet, with the permission of Facebook or YouTube, since the network of networks is such a vast and unattachable space that without the help of a search tool we would hardly get to half the pages we know today. There are all kinds of search engines available, in addition to Google, and there are specialized in finding a certain type of content, such as image search engines, sometimes integrated into generic search engines. Besides, within the image search engines, you find a particular type, the pages to search for images with images. That is, instead of indicating a search word, you include the link of an image or upload the graphics file and the search engine tells you where there are similar results. What is Image Reverse Search? Image reverse search is a search engine technology that makes it possible for a user to enter an image file as an image search query and find results related to that image. Image search occurs when a user can find images related to a search term that he or she types in a search engine. Most search engines such as Google offer image search and can be very useful for a user looking for images related to a specific word. But in the case that you have a copy and want more details of it, such as knowing its origin or finding similar images, you have to do a reverse image search. One of the first image reverse search engines was TinEye. Its operation is effortless and works from your website or integrated into your browser through extensions for Firefox, Chrome, Safari, Internet Explorer and Opera. Using an image of your computer or a URL of the online picture, TinEye will find exact or similar photos and will tell you in which page they are, the size of them, etc. After TinEye, the most popular image reverse search engine, or practically on par, is Google Images. The usual thing in this search engine is to write what you are looking for and see the results integrated into Google’s generic search engine along with videos and maps, but optionally you can upload a photo and find similar results. To do this, you will have to go to Google Images and in the search field, click on the icon in the form of a photo camera, on the right side next to the magnifying glass. The primary purpose of ImageBrief is to facilitate the exchange of quality photos, between those who need to illustrate their content and amateur or professional photographers who want to take an economic advantage. 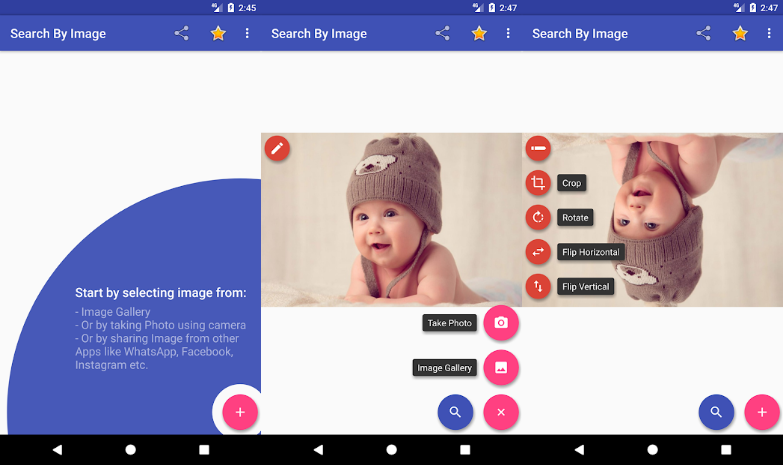 However, as an addition, ImageBrief allows you to reverse search images in the same way as Google Images, by clicking on the icon in the form of a photo camera. As in the previous cases, it supports both online images with your link or uploads from your computer. On this occasion, the objective of the reverse search with ImageBrief is to find similar photos or illustrations of higher quality than those you see on the internet and that you would be interested in buying for commercial or professional purposes. As in the previous image reverse search engines, Image Raider searches from an image, from a link or, as an addition, you can use your Flickr, DeviantArt or 500px accounts, so you can check if someone is using your creations without your permission. Right now Image Brief shutdown its service you can read the announcement here. 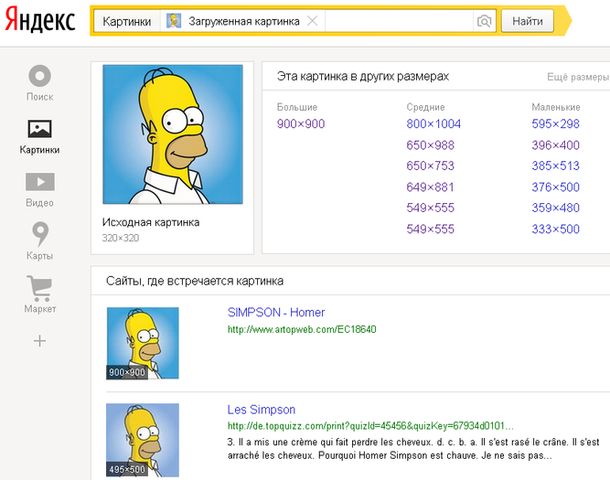 Yandex Images is the image search engine of Yandex, the most popular search engine in Russian. Its operation and interface design are similar to that of Google Images: you can upload a photo, drag it or indicate the link of the image. CTRLQ is a Google image reverse search tool that allows you to upload a photo on the platform and find who else has published that image. After uploading an image, you can click on “Show matches” to search for other websites with the same image. It will direct you to the Google image search page, where you can identify where the exact photo has been used on other websites. 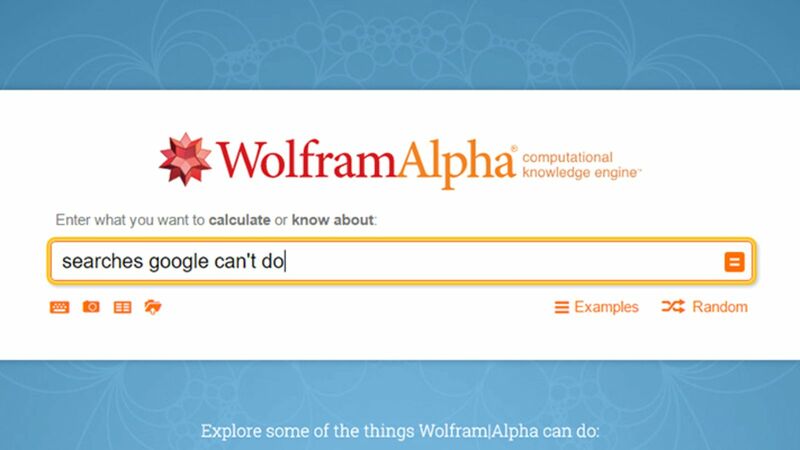 Wolfram Alpha search engine, among many other interesting functions such as solving mathematical problems or carrying out specialized consultations on various topics (medicine, engineering, astronomy, meteorology…) includes the possibility of finding answers not only from keywords but also with files or images. 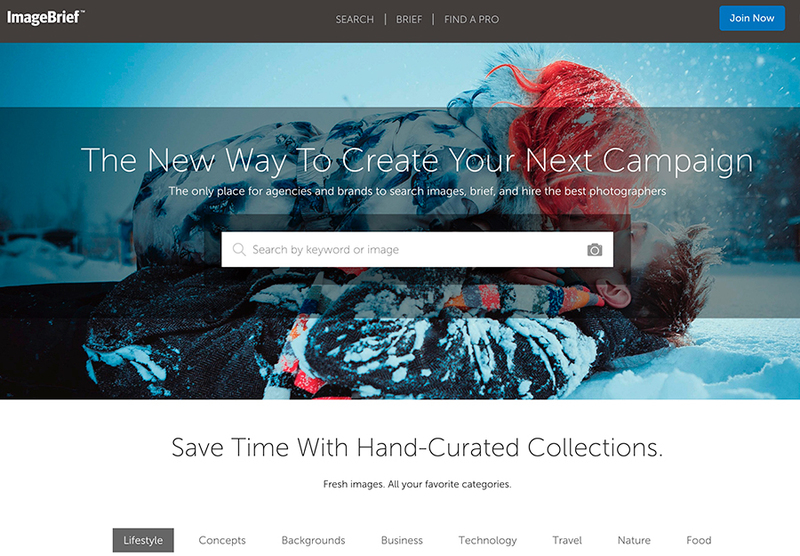 RevEye is an exciting alternative to find out if a photo is new or old with a single click. This extension is essential for any journalist who uses Chrome as the default browser. It is an image reverse search engine that, in the style of Google or Tineye, will tell you if a photo has been used before and, therefore, is not original. You only need to install the extension and then right click on a photo found on social networks. Who stole my pictures? It is an extension for the Mozilla Firefox browser and, in the same way as RevEye, and it allows to search for copies of the images that are on the Web through TinEye, Google Images and even Yandex, the Russian image search engine. Almost as simple as TinEye: upload an image from the PC or a URL, define a category from the drop-down menu to better filter the results, and finally select a specific region of the image or the complete image to start the search. The results are organized highlighting their efficiency percentage with colors. 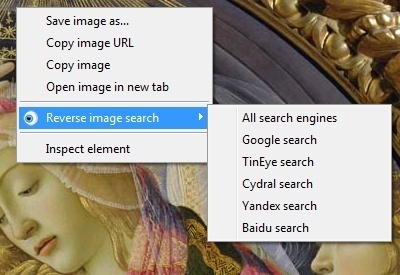 Reversee is an image reverse app that takes advantage of the option to search with an image of Google, Bing, and Yandex. For the search, you can go to those that you have saved, to a link or an image copied in the clipboard. It is also possible to download photos that you find or cut the edges to facilitate the search. In the free version, we have to choose between the three available search engines. The paid version performs the search in all three at once. Android users have Search By Image to search with images in search of similar or identical versions. You can go to the Android gallery, make the photo at the moment or from an image of WhatsApp, Messenger, Instagram or Facebook. 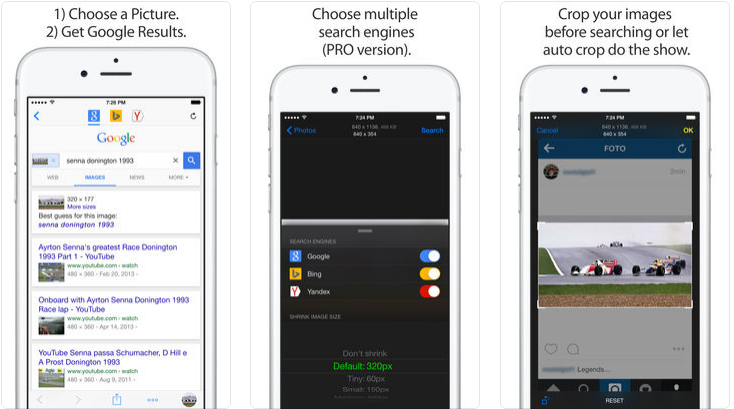 Search By Image uses the search engines of Google, TinEye, and Yandex to find copies or similar. Besides, it has editing functions, such as flipping an image, cutting part of it or inverting it horizontally or vertically. 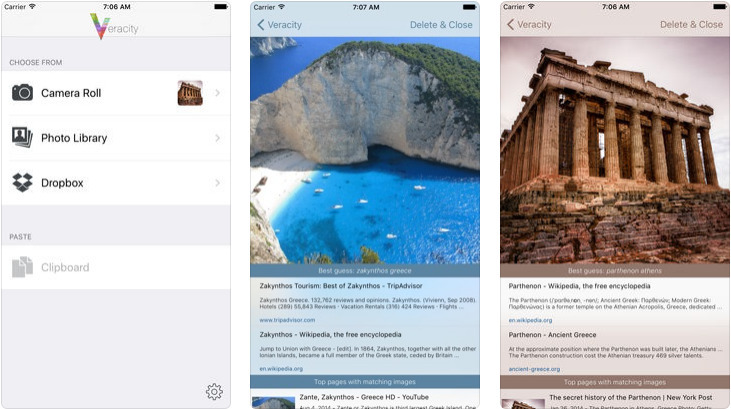 Exclusive for iPhone and iPad, Veracity is an image reverse app to search with images that we keep on our device, in Dropbox or the iOS clipboard. In addition to showing you alternative sources where to find the same or similar image, it will give us information about its context, handy if you don’t know what appears in a photo. People, objects, places… With Veracity, you will confirm or not the integrity of an image to discover false profiles in social networks or fake news. So far those were the best online image reverse, and some apps for mobile that you can use to find is someone is using your image without your permission efficiently. Do you use another image reverse tool? Let me know in the comments section.